The stars of the show here are the two Monolith THX Ultra certified speaker models, the certified THX-365T Atmos mini-tower and THX-365C center channel. You get so much for your money with these models, including 24 dB (3rd order) Linkwitz-Riley crossovers set at 550 Hz and 2.1 kHz, it's kind of insane. The 3-way design features a 2” silk-dome midrange with a neodymium magnet plus a 1” silk dome tweeter, also with a neo magnet. Both driver motors sport copper shorting rings. The cabinets are made from “five-layer HDF” and include horizontal shelf bracing. Twin five-way binding posts are located on the back of the cabinet, one for the main channel and one for the height channel. Nothing too complicated here, I followed the set of instructions included in the Denon AVR-X6500H AV receiver I used to drive this system. This is an important point (that I ran these with an AVR) given that the speakers are four-ohm models with modest sensitivity. But, the X6500H loved how they measure in-room (Audyssey measurements revealed good behavior even before correction) and once configured, I was able to push the whole system to very high output levels (at least in "living room" terms) without distortion. Last edited by imagic; 04-15-2019 at 02:21 PM. very enticed. first sale i will definitely grab a pair of towers and the center. Interesting, but for $1800 they are competing with SVS Prime tower system w/elevation speakers and a host of other brands. I've been pleasantly surprised by a lot of the Monoprice stuff I've bought, but I'm not sure I would spend $2K on something that doesn't have a demo return period. Actually it's $2100 for the 5 speakers (500+500+400+350+350) but IMO still a good deal considering the end result. Not sure who engineered these but they appear to be an original design and they definitely were done by someone skilled with crossovers and cabinets and making it all work. Interesting, I was looking at their website and they list the THX-265B as Speaker(s) versus all the others are listed as speaker, so I assumed they were charging for the pair on the small ones. 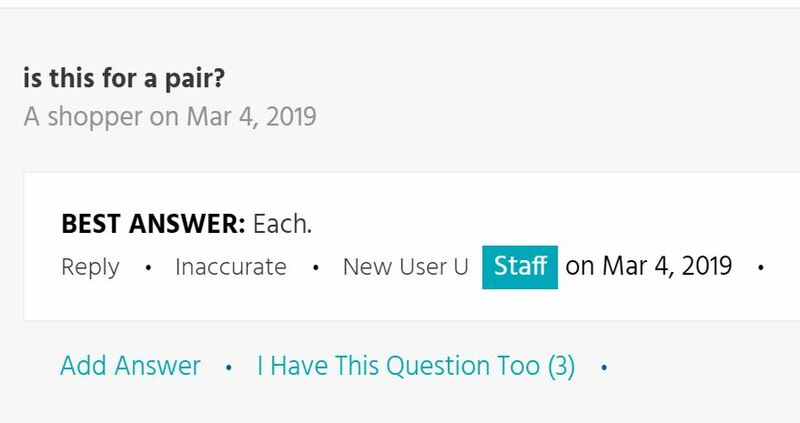 Unlike a lot of vendors they don't have the usual "This is only for a single speaker" warning, just a note under Q&A so I'm going to guess they will get a few angry reviews for the THX-265B. Completely agree as some would like to do in ceiling Atmos and others simply want 5.1. All of a sudden the 3 way $300 each Pioneer Elite Center and $499/pair 3 way Pioneer Elite bookshelves look like a bargain. Those are almost toy speakers in comparison, I had the whole kit. Fwiw (a kit that a friend of mine has in his living room now, so I still get to hear it now and then). 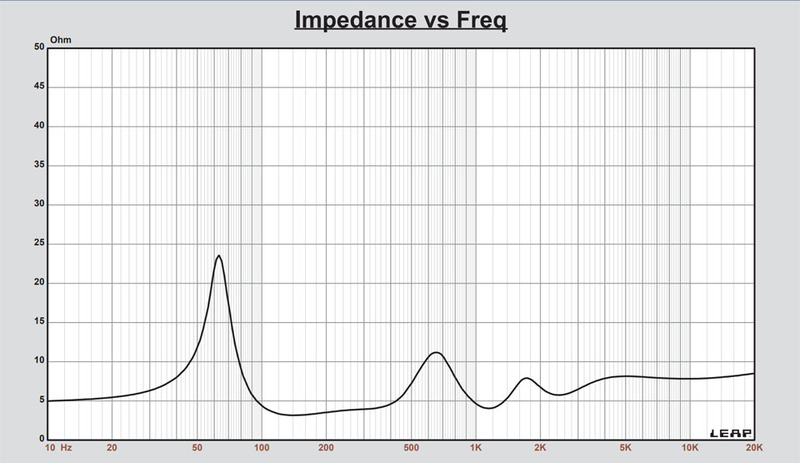 5 dB less sensitivity for one, which has teep implications in terms of amplification. 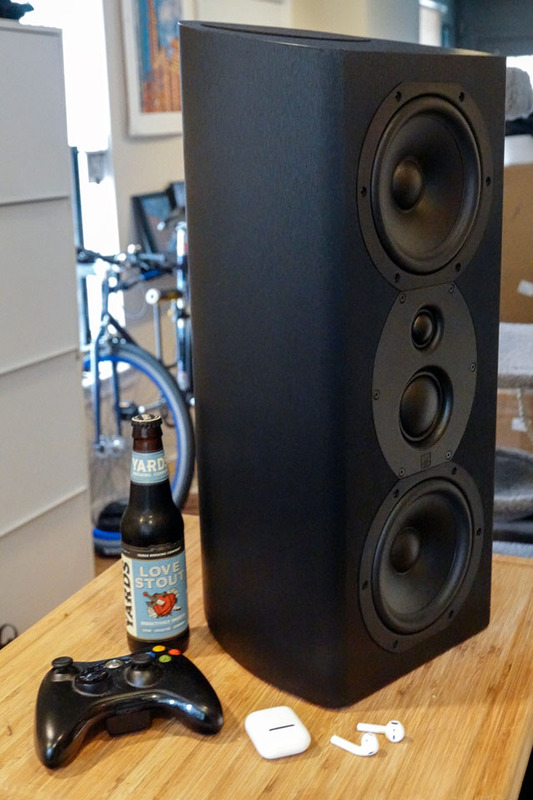 The Elites bookshelf makes do with just one 5.25" woofer instead of two 6.5" drivers, and is just plain much smaller. Not even remotely capable in terms of output/dynamics as the Monoprice. And the Pioneer Elites are a good system. "Baby KEF" no doubt. Just not the same class of speaker, these are home theater beasts in comparison. Specifically the mini-towers, not the 2-way Monolith bookshelf, that's the least interesting one. Dimensions of the mini-towers on Monoprice.com are wrong. I'll add accurate dimensions to the review when I get 'em. Last edited by imagic; 04-14-2019 at 11:58 AM. Those are almost toy speakers in comparison, I had the whole kit. Fwiw. 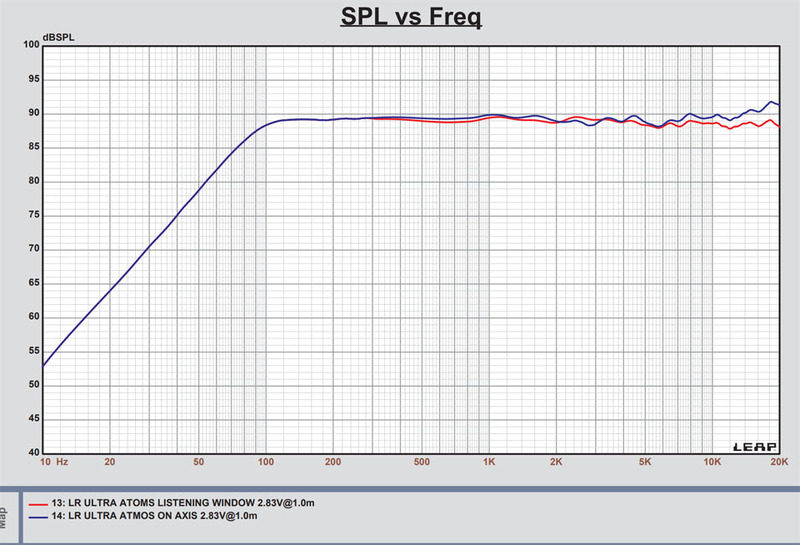 5 dB less sensitivity, 1 5.25" woofer instead of two 6.5", and just plain much smaller. Not even remotely capable in terms of output/dynamics as the Monoprice. Dual two way 6.5" 2 way speakers from HSU and Ascend go for about $600/pair without the Atmos ability or midrange driver of the Monoprice. These Monoprice speakers are interesting. Seems like some nice design choices were made for dispersion and output capabilities. Would like to see the guts. It would be nice if they also made a full tower version, or at least offered matching pedestal stands (similar to the ones Ascend makes for the CMT-340). Also, they are similar to the NHT C LCR in terms of driver compliment and price (minus the Atmos module). Wonder how they would compare? 5.1 and 2.0 ch: Outlaw 975/Emotiva DC-1/Rotel RB-1582 MKII/Rotel RB-1552/Audiosource Amp 3/Polk LS90, CS400i, FX500i/Outlaw X-12, LFM-1/JVD DLA-HD250/Da-Lite 100" HCCV/Sony ES BDP/Sonos Connect. DC-1/RB-1582 MKII/Sonos Connect also feed Polk 7C in garage and Dayton IO655 on patio. 2.1 ch: Denon AVR-2807/Klipsch Forte I or NHT SB2/JBL SUB 550P x 2. 2.0 ch: Rotel RX-1052/Emotiva DC-1/Klipsch RF-7 III/Sony ES BDP/LG 65" LED. 2.0 ch: Klipsch Powergate/NHT SB3. Kitchen: Sonos Play5. Question. My reciever is a few years older. DENON AVRX3100W. it doesn't support atmos,auto 3d, DTS X. Would these even be worth it or would I better looking for a non height Speaker? Any chance for some photos of the mini-towers installed in your system? The only pictures I’ve been able to find are of the speakers by themselves so there’s no frame of reference for determining their relative size in real life. Thanks! I suppose one answer to that question is.... Are you ever going to upgrade your AVR? Perhaps the feature could lie dormant until you eventually have a chance to use it? I certainly found them to be fantastic without utilizing the Atmos component, but you are basically paying a hundred bucks (per speaker) for something you are not using, if you are to judge by the center channel's price. Clearly, there are many more options out there for 3-way speakers that do not have Atmos built-in.so it would be reasonable, if you thought you are never going to use the feature, to consider more options. But, it's like practically guaranteed that are next AVR will have Dolby Atmos and DTS:X, were you to buy new. I'll unpack one and take a picture that shows it next to something that gives you a sense of scale, give me about 15 or 20 minutes. Thanks for the quick reply. I love the reciever, was always an Onkyo guy then got this reciever and I don't think I can go back. It's the home theater game for sure, get the speakers then need new reciever, get different speakers and wonder what I'm missing. Not quite a bad as the cell phone game just more expensive. Last edited by robr6; 04-14-2019 at 03:39 PM. Schwa, gajCA, christoofar and 3 others like this. I know that sound quality is king but aesthetics count too. If I'm buying a speaker system, not only do I want them to sound great but I want them to look great in my room. So while Monoprice and Emotiva may be great sounding speakers, I wouldn't buy any of them because they are ugly. Volvo didn't really take off until they started designing great looking as well as great performing and safe cars. Both companies should follow Volvo's example. leecreek and nwmusicman like this. Thanks for the review, Mark. I spent time with Monoprice at Cedia this year. I thought their audio set up was really good for the price and told them so. IIRC they told me they had some new products coming out and these must be one of them. If you think that these Monoprice speakers are a step up from the Pioneers, then that is high praise. I remember when Andrew introduced the Pioneers at Cedia. I told him that his system was the best set up for Atmos at the show. The sound was definitely good for the price. It should be noted that the 365s should be compared to the Pioneer towers, since they are the same price. Any word/rumors on the in-wall versions? They used to have their own pages a couple of months ago, with I believe a 15 May ETA. Now the individual links just take you back to the main in-wall page. I have not heard anything, no. However, it can't hurt to ask. I'll let you know what Monoprice says. I think they look pretty nice and i love my Monolith sub!!!! I don't completely disagree with you, but the Monolith line will always be function over form. There's a lot of additional cost that goes into paint or a veneer that I would rather save and put into the driver and crossover components. The actual cabinet construction is more than solid, since it's HDF and not MDF. Everything is a balancing act to maximize performance and price point. imagic and ahblaza like this. I think they are quite attractive to be honest. They don't appear to be "ugly" at all. I guess you could spend thousands more for some exotic veneered speakers. I'd rather have them disappear & sound killer when I listen to them.